Nick Duska is a Career & Lifestyle Development Coach for those who want to spend more time on what matters to them most. The podcast is a place to get inspired and further your knowledge in the areas of human potential and improvement. Nick brings you stories, lessons, and tips through interviews; as well as answering questions that are sent into the show. Episodes are released weekly, giving you bite sized tools that can be used immediately to assist you in daily life. 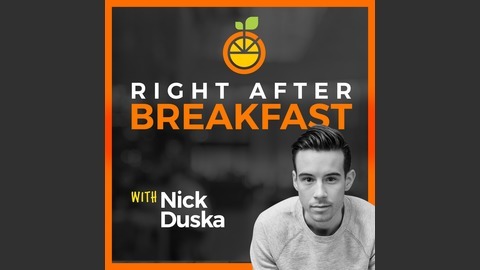 Discover more about the podcast at www.rightafterbreakfast.com, or learn more about how you can work with Nick by visiting www.nickduska.com. I got interviewed this week! Hopefully you'll enjoy listening to me on the other side of the mic. Nate asks some great questions on Career & Lifestyle Development and I think you'll get a bunch of value right away. Do you have a personal growth question you'd like me to answer? 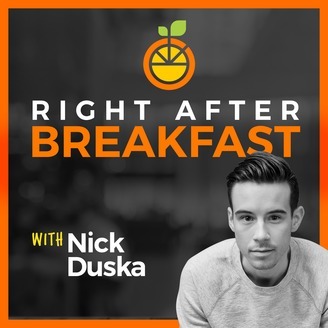 Please email me at nickduska@rightafterbreakfast.com, I’d love to hear from you! Once you submit a question you'll have a chance to get it featured on the podcast.